On New Years Eve, it was weird because I felt the same way I did when I first started my blog – exposed. I’m not quite sure why I had that feeling but, it was there and I had to deal with it. I concluded that I felt exposed because although I am totally open and honest on my blog, I haven’t been walking around with a sign on my forehead saying ‘Infertility’ or ‘IVF baby’ whilst in church. I hadn’t collected the data on how many church members had visited my blog, I wasn’t quite sure how many people really knew the journey hubby and I had been on… I started thinking about the possible thoughts many of them would have… whether they thought the challenge lay with me or my husband or both of us. What about the men? The men who 1 – are going through the fertility journey with their spouse/partner or 2-The men who are dealing with the challenge being on their side? It’s funny how we often push the men aside and almost assume that because they are men, they can deal with issues and situations better than women. Men have feelings too! So, back to @carrythequiver. It’s an Instagram page and blog established to provide a forum for ‘men to share, encourage and ask questions on the challenges of starting a family through adoption and infertility.’ I absolutely love this because during our 5 year journey and fertility treatment, I for one saw how hubby was almost the after thought of many when they asked how treatment was going, how the pregnancy was going and now that baby is here, how I am adjusting to motherhood. No one really asks how hubby is doing even though we are both experiencing parenthood together. Yes, I may be the one with the breast milk on tap, but essentially, we are going and have been on the journey together so it’s also important for men to have an outlet and know that they are not alone. I know what it feels like to put on a brave face and on the inside be drained, fed up, tired etc. I can’t imagine how men must feel with the added pressure of trying to be strong and supportive for us women. 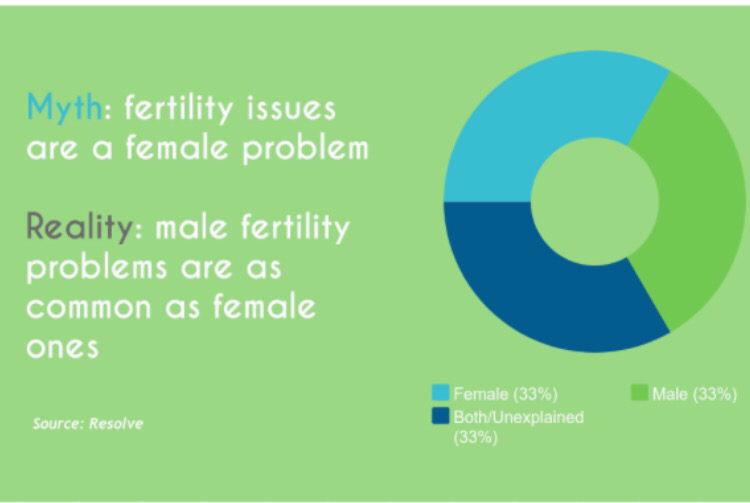 It is shown statistically that infertility affects both men and women equally so, moving forward, I will be including men in my morning prayers and I encourage others to do the same also. Good read, men are sometimes expected not to show emotion but be supportive. Thank God for making them the head of their household and strength comes with that responsibility. May God continue to strengthen our men. You’re so right Kems. It’s not just a journey for us women. Thank God for oversupportive husbands who also have to face the same thing and who in many cases don’t often have the outlet to share as we women do. Keep on inspiring us with your journey Kems.